Renowned artists and composers license their original, instrumental, and diverse music for use with The C.A.R.E. Channel, and its related products. If you’re interested in being a C.A.R.E. Artist, please contact us. A beautiful and engaging collection of original instrumental music, from Peggy Morgan and Bette Phelan. Beautiful original compositions with the London Symphony Strings. Original compositions for acoustic guitar and strings. Guitarist/Producer, including albums for Deepak Chopra. Contemplative compositions for piano produced by Will Ackerman. Lush Hawaiian-inspired productions. Read Charles’ story about the influence of his surroundings on his music and his work with The C.A.R.E. Channel. Original piano compositions. Read about Christine’s journey through the therapeutic and healing power of music. Diverse compositions spanning world music, jazz, contemporary jazz, new age, pop, and classical. Blending rock, jazz, folk and pop, the Denver based guitarist creates distinctive compositions using a wide variety of alternate tunings. Restful compositions for solo guitar. Original compositions for solo piano with cello and flutes. An Emmy award winning blend of classical and modern compositions, with over two hundred film and television credits. A Neo-Impressionist pianist and composer with a Masters in Music. Multi-genre composer and renowned pianist/keyboardist. New Age and World music by Kitaro, Dave Eggar, Benedetti & Svoboda, Uma, Randy Armstrong, Shinji, Stephen DeRuby. Original and traditional acoustic guitar works. Meditative music for guitar, bass, and keyboards. A wide variety of compositions for piano and instrumental ensembles. Virtuoso Segovia-trained guitarist with Flamenco and Brazilian influences. Virtuoso flutist featuring gentle compositions with guitar. Original compositions for piano and strings. Structured and improvisational compositions featuring piano. Pianist featuring gentle orchestrations in her “Simply Beautiful Collection”. Guitarist whose albums are produced by Wyndham Hill founder Will Ackerman. Oboe and English horn, drawing from classical, jazz and folk. Learn how Jill is inspired by U.S. National Parks. Composer/Producer of original compositions for solo piano and ensembles. Music featuring solo instrumental piano and Native American flute. Dynamic original solo piano works. Original piano music inspired by the artist’s military service. Renowned artist in the New-Age music genre. A pianist, composer, and teacher creating a variety of instrumental works for solo piano and groups. Grammy® Award winning vocalist, with an original album of instrumental compositions and arrangements. Read about Darlene’s musical journey and how music has served as a healing outlet throughout her life. Beautiful and relaxing flute recordings. Seasoned Oregon-based educator and performer on finger-style guitar. Debut solo piano album from an emerging young artist. Multi-instrumentalist whose ensemble recordings feature Irish/Celtic influences. Award-winning founder of the acapella group, The Bobs. American pianist living in China. Award-winning soundtrack composer and pianist. Contemporary piano composer. Read Greg’s story about his experiences with the healing power of music, both professionally, and personally. An accomplished guitar player drawing from multiple genres – jazz, soul, pop, funk, blues, and others. Original compositions for electric harp and woodwinds. Original compositions for piano and electric keyboards. Beautiful productions for flute and various accompanying instruments. Solo piano with an emphasis on live performance. Original compositions for solo piano and instrumental ensembles. Beautiful original melodies for dual pianos. Original music for Celtic harp. Beautiful original compositions for solo piano. Noted Los Angeles-based keyboardist first introduced on the Arsenio Hall Show. Exquisite guitar music. Read Christopher’s story about his experiences with The C.A.R.E. Channel as a patient. Relaxing piano with light synth textures. Original piano compositions with light orchestrated accompaniment. Finger style guitar duets and piano/guitar duets. Electric guitarist whose latest album is Healing Music, Vol. 2. Personal and intimate instrumental Classical Guitar music. Original compositions for acoustic and electric guitars. Read Roy’s story about how he became a C.A.R.E. Artist. Vocalist and musician Seay composes critically acclaimed evocative original pieces with universal themes in the New Age genre. Pat Clemence, Laurel Emryss, Max Highstein, Erin Jacobsen, Suzanne Michelle, Shardad, Rob Whitesides-Woo, and others. Original music by a Hawaiian violinist. Meditative piano and synthesizer works. Read Richard’s story about how he became a C.A.R.E. Artist. Pianist with original cinematic compositions. Original compositions for solo piano and small ensemble. 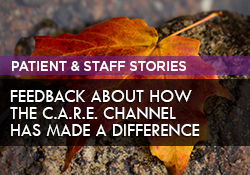 Read Robin’s story about her experiences with The C.A.R.E. Channel as a patient. Pianist/Composer featuring original compositions and popular standards. Read Mike’s story about how he became a C.A.R.E. Artist. A music label featuring a wide variety of artists in various genres. Guitarist recognized by Zone Music Reporter as Best New Artist of 2015. Organist, pianist, and board certified music therapist. Multi-instrumentalist whose goal is to raise consciousness with his music. 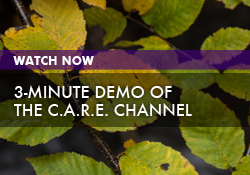 Learn about Danny’s experience as a C.A.R.E. Channel artist. Guitarist and composer blending folk, Indian and jazz styles. Master pan-flutist playing original compositions with an Hawaiian flavor. Dynamic original compositions for solo piano. Peaceful romantic compositions for solo piano. Pianist inspired by classical composers of the Romantic Period.